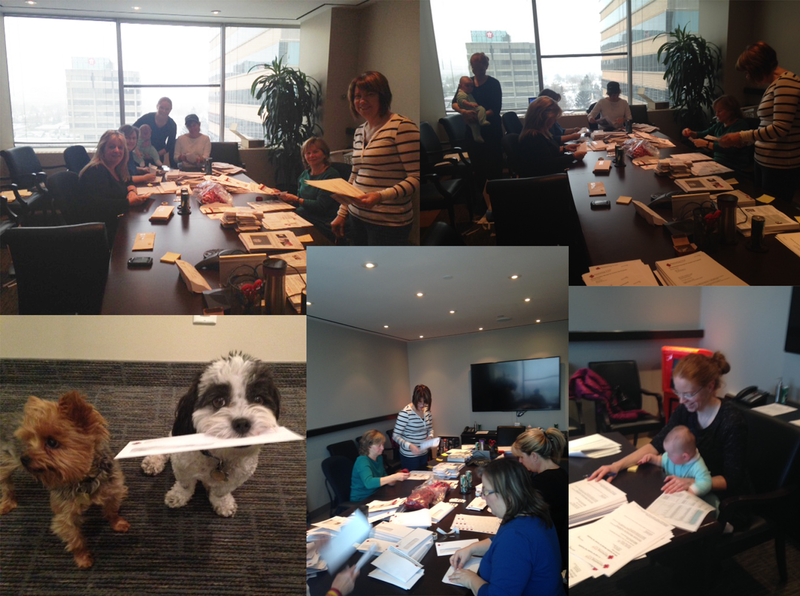 Over the past couple of weeks the Answering TTP Foundation, along with some of its dedicated volunteers, has been hard at work preparing all 2013 charitable receipts for distribution to our generous donors. Because the Foundation receives donations from around the globe, this was no easy task. The content that accompanies each receipt is slightly different, based on the donor's community, and is tailored to reflect upcoming fundraising events and volunteer opportunities each donor can participate in. Thankfully, we had some amazing volunteers who offered up their time to prepare the contents as well as stuff the receipts! 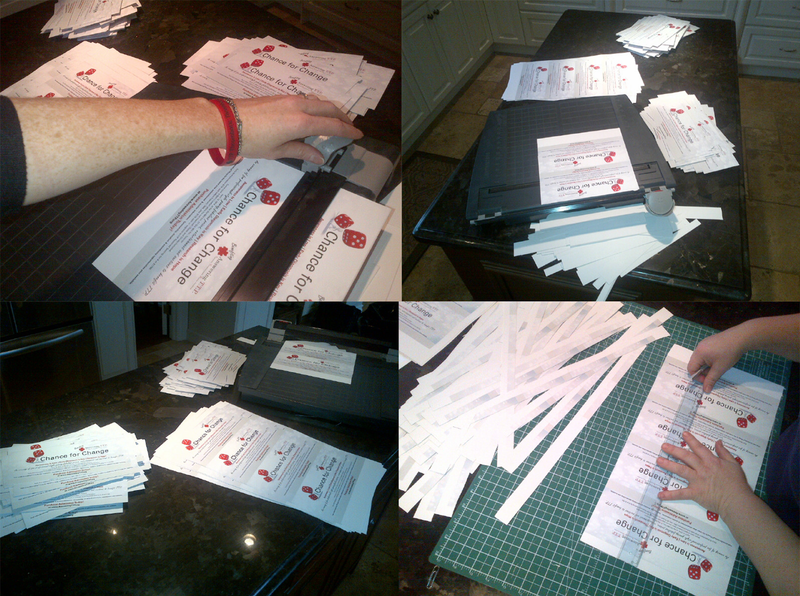 accompanied receipts to Ontario, Canada donors. We would like to thank all of our amazing volunteers who made this year's receipting day one full of laughs that flew by without a hitch. Even our littlest volunteer, Heather, and our two furry volunteers, Tucker and Riley, were on hand to help! Did you know that the Answering TTP Foundation is always looking for volunteers? We have even created an easy Volunteer Information Form that can be completed on our website. Our Volunteer Information Form allows you to tell the Foundation how you would like to get involved and when, making it easy for us to let you know where we can use your expertise! As the Foundation grows, so does our need for dedicated individuals who can make time to help when their schedule allows. Volunteering doesn't mean you have to dedicate all of your spare time to us, just a couple of hours here and there when it's convenient for you. We have LOTS of volunteer opportunities both in person and virtual. No matter where you live in the world, we have ways for you to get involved! Fill out the Volunteer Information Form TODAY and help us to better the prognosis for TTP patients!